Mappa Mundi was founded by multi-instrumentalist/composer Adam Levine. 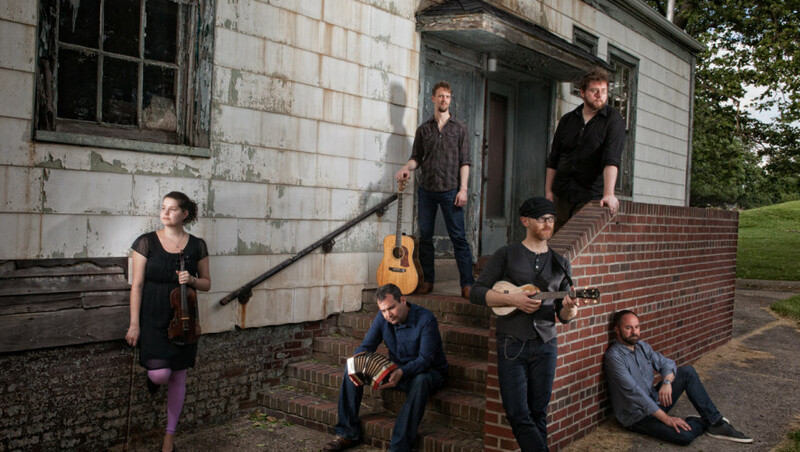 With roots in rock, folk, Americana, and chamber music, this band of misfits continually explores new musical terrain – incorporating new sounds, instruments, and ideas – to create something at once Old World and New. Their most recent EP, At Sea (2015), was recorded and produced with Charles Newman of Motherwest Studios (The Magnetic Fields, Motopony, Mother Feather). It’s been called “sumptuous” and “sublime” by Blurt Magazine, and “monumental” by The Aquarian Weekly. It was also featured in Large Hearted Boy’s Song of the Day, and the band was hailed as one of The Deli’s Best Emerging Artists. Mappa Mundi is currently in the studio, recording their third album, The Larky Life, with Matt Gill (Shonali Bhowmik, Marcellus Hall, Aimee Mann). Also on the horizon are an original chamber/folk/rock opera, and much, much more.